Market Snapshot for Aqua at Allison Island, Condo/Villa/Townhouses, residential community in Miami Beach, Florida. 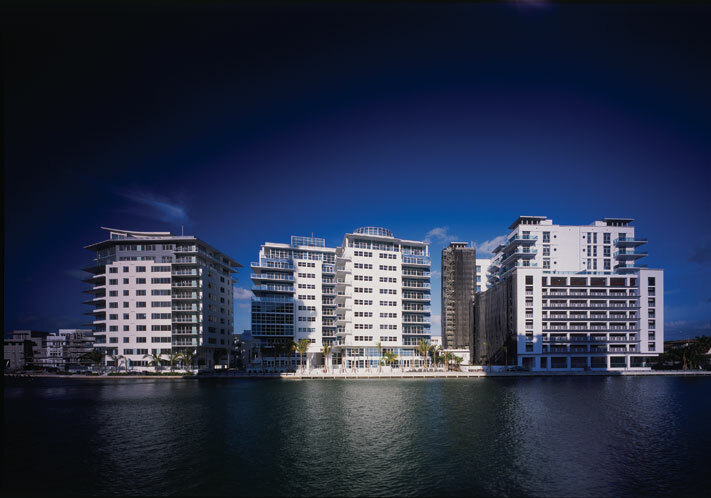 Aqua at Allison Island Condo/Villa/Townhouses is located at 6109 Laguna Dr, Miami Beach, Florida, 33141. This residential community was built in year (2006) and currently offering (3) Condo/Villa/Townhouses for sale in Aqua at Allison Island, with price ranges from $1,957,000 to $4,250,000. 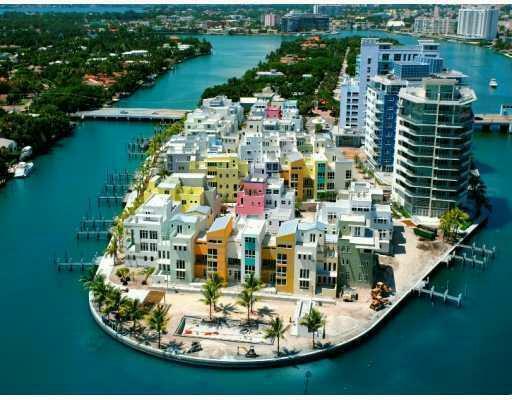 Whether you are looking for most up-to-date Aqua at Allison Island, Condo/Villa/Townhouses, residential community or another luxury development in Miami Beach, Florida to Buy or to Sell, our website will provide you with the most up-to-date luxury homes and condos for sale in the city of Miami Beach. What do you get when you combine the leading artists, architects and urban design planners with 8.5 acres of luxury island tropics along Miami Beach’s breathtaking shores? In one word – AQUA. Nestled in the heart of Miami Beach’s legendary Millionaire’s Row, the AQUA luxury urban community on Allison Island is a fusion of modernist art, contemporary architecture and spectacular beauty. Built on 8.5 acres of Private Island, AQUA is revolutionizing the current definition of tropical living. With it cozy streets, waterside promenade and a small plaza, AQUA is a pedestrian’s paradise. The lush landscaping even includes citrus and mango groves. But don’t let the casual setting fool you. AQUA’s townhomes and condos have a thoroughly modern structural design which are outfitted with the latest appliances and feature artwork by internationally-renowned artists commissioned to complete works exclusively for AQUA. The result is a flawless blend of tropical tranquility with pure modern luxury. 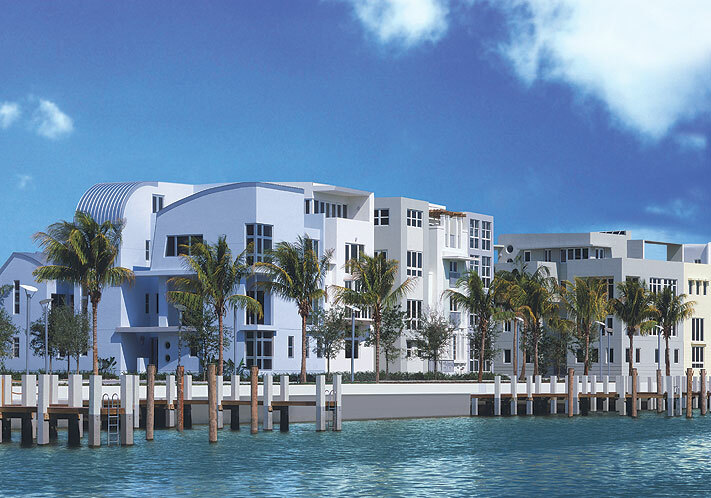 With just 3 midrise waterfront condos and only 46 island townhomes homes, the AQUA venture on Allison Island, Miami Beach is an exclusive community limited to only 151 families, ensuring an intimate neighborhood setting for the lucky few who will call it home. With this vision in mind, each of AQUA’s 3 midrise condominiums reaches only 11 stories, standing in sharp contrast to the massive structures currently dominating South Beach’s coast. The Chatham features dramatic high ceilings, with towering windows allowing optimum views of the Biscayne Bay. Its extravagant loft-like condos include generous open spaces, while separating sleeping and living areas to ensure your maximum privacy when entertaining. Private balconies and a regulation size rooftop swimming pool enhance the magnificent building, while penthouses offer the ultimate indulgence with personal solarium rooms outfitted with hot tubs. Want your work and workouts close by? The Chatham houses an Executive Business Center and a Fitness Center open to all AQUA residents. Or take a day off and pamper yourself with spa treatments, available by appointment only. The Spear is designed as two structures linked together, providing corner exposure for nearly every condo, affording spectacular views and gorgeous cross-breezes. In the penthouse, enjoy a stunning view of the waterside promenade from your wraparound balcony. The Spear in-house gourmet store will supply all your sundry and household needs, and even includes dry-cleaning services. The Gorlin is a sculptural masterpiece with a unique design enabling 3 corner units on each floor. Deep balconies and extended sunscreens ensure that your home remains shaded at all hours of the day. Lavish penthouses each boast a private terrace and rooftop solarium. If you are in the market for an exquisite single-family condo, check out the AQUA Island Residences. AQUA homes are a magnificent combination of lavish contemporary styling with classic tropical living elements such as patios, roof terraces, projecting balconies and canopies. Providing panoramic views of the dazzling waters of Indian Creek and the downtown Miami skyline, these modernist homes are a perfect synthesis of space, light and luxury living. 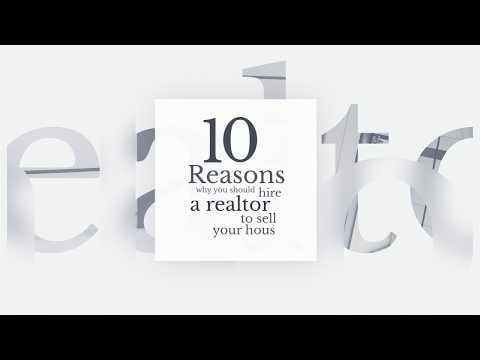 10 world-renowned architects were brought together to design these extravagant four-story homes, available in 3 and 4 bedroom layouts, and featuring tall ceilings, spacious living areas and private docks for those on the waterfront. All AQUA Island residences are outfitted with state-of-the-art kitchens and bathrooms, from brand names such as Sub-Zero and Philippe Starck. At AQUA Allison Island, you are just minutes away from La Gorce Golf and Country Club, Bal Harbour and South Beach. But with lush landscaped parks and walkways, a waterfront promenade, regulation size community pool, private fitness center and spa facilities, you may never have to leave your tranquil paradise. If you are looking for the intimate feel of an exclusive tropical community with all the indulgent amenities of affluent Miami Beach.